Want to learn how to install your car seat for free? Safe Kids hosts thousands of child passenger safety events across the country. Our trained technicians will teach you everything you need to know to make sure your car seat is fitted and installed correctly. To find an event, select your state on the left-side navigation. Then you can scroll through all the events for your state or select a local coaltion and then look through their events. Events are listed by date. No Events In Your Area? 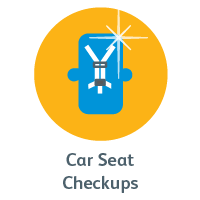 Even if you don’t see a car seat event in your area, we still might have a technician who can help.